dEATS team: Vahid Ghadakchi (computer science), Elijah Mcgowen (finance), Josh Cosio (marketing), and Dylan Gould (entrepreneurship). Computer science graduate student, Vahid Ghadakchi, decided to step out of his normal life one weekend this fall and try something new. 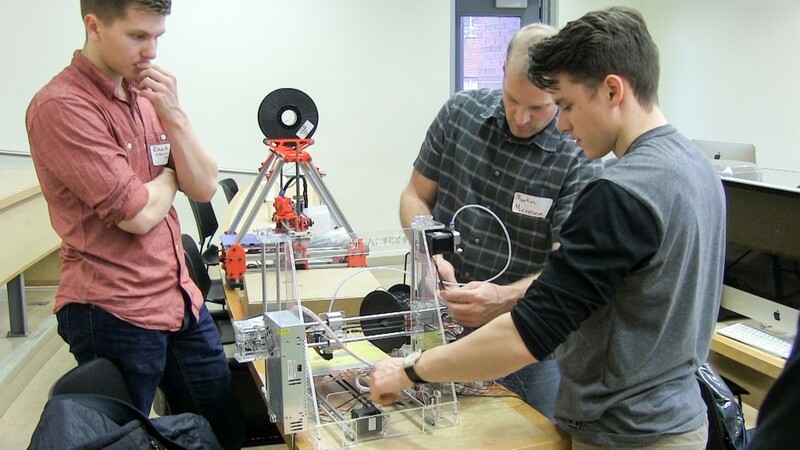 So, he put aside his Ph.D. thesis work and attended the Willamette Startup Weekend at Oregon State University — a 50 hour event to inspire entrepreneurship. Not only did his team win the second place prize for their app, but they are continuing to develop it into a business. 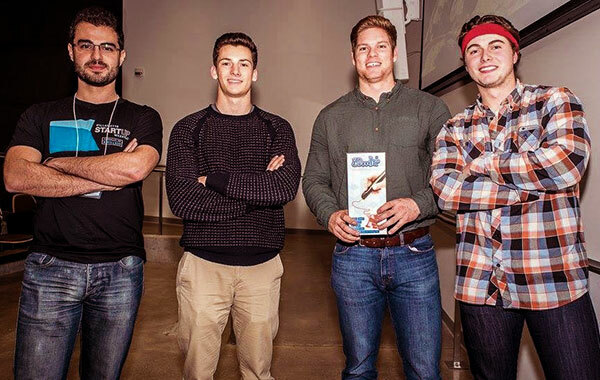 At the event, Vahid was quickly snapped up by business students Dylan Gould (entrepreneurship), Josh Cosio (marketing) and Elijah Mcgowen (finance) for their team. The three came to the event together with an idea for an app that restaurants could use to help bring in business during slow times. Vahid filled the team’s need for a computer scientist to implement their idea. Initially the team just wanted to have some fun and learn some skills, but once they started market testing the app with businesses and potential users they realized their product could go farther than a weekend contest. Nearly all of the businesses they talked to said they would use the app, and one expressed interest being a beta tester. Customer responses were very positive as well. Restaurants could use the app, called dEATS, to post discount deals that would last for a limited amount of time, such as 30 minutes. The app would have a count-down timer so customers would know how long the deal would be active. The product would help businesses drive customers to their restaurants during slow times, and customers could get ideas for where to go by checking the app for deals. 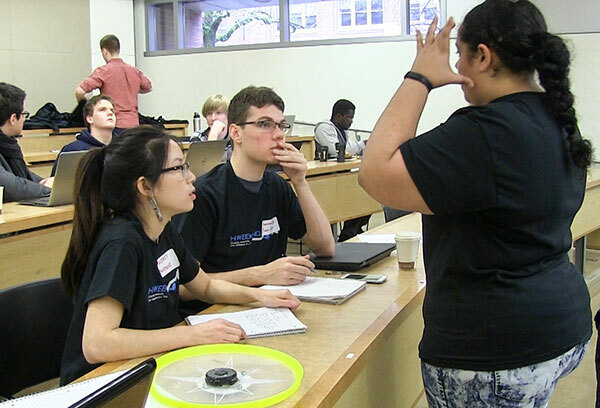 The team is planning to apply to the OSU’s Advantage Accelerator to help develop their idea into a business, and is looking for more engineers to join the team to make the business a reality. Vahid said that the experience was a great break from working on his thesis and he also learned some valuable skills that go beyond what can be learned in the classroom. “I realized how important it is for a computer science student to learn to communicate with people in business and other areas, because they have a different perspective that can help you develop a better product,” Vahid said. 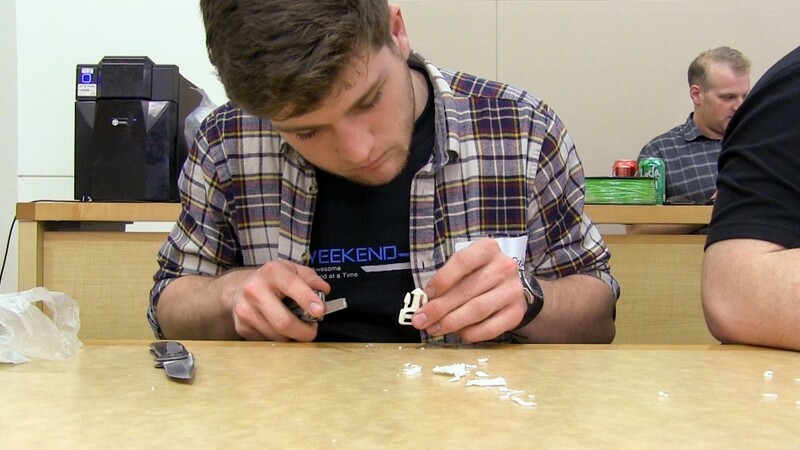 The School of Electrical Engineering and Computer Science at Oregon State University is initiating a new extracurricular program to provide more hands-on learning opportunities for students. The Mastery Challenge program is based on a concept called gamification which uses elements of game playing, such as leader boards and badges, to motivate participants to gain new abilities such as 3D modeling and Python programming. “The program is designed to help students apply the knowledge they learn in classes to practical skills that they will need for jobs when they graduate,” said Don Heer, instructor of electrical and computer engineering. 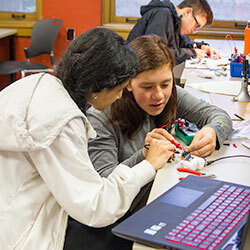 Experiential learning is a focus for Heer who has also created the TekBots program, which integrates course content with building a robot; and the CreateIT Collaboratory, an internship program for students to work with outside clients to create prototypes. To participate, students login to the Mastery Challenge website with their university account to see the list of challenges for which they can earn achievements. Participants can work on their own, or get help by contacting students who already have that achievement. Prizes will be awarded to students with the highest number of achievements each term. Helping other participants is another way for students to earn achievements. Peers also participate in the evaluation process. To earn an achievement, a participant must demonstrate their ability by uploading a video or document to the website for review. Students who already have that achievement can recommend to Heer if the application should be accepted or denied. Heer then makes the final decision. 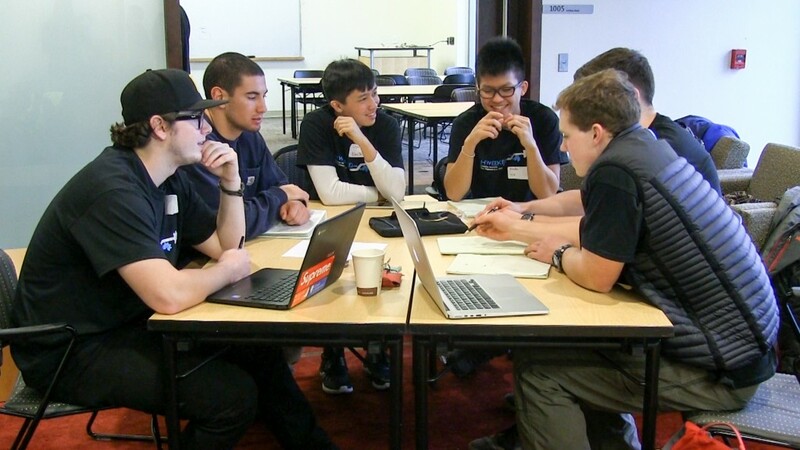 The Mastery Challenge program is open to anyone at Oregon State — students from other majors, faculty and staff can participate. 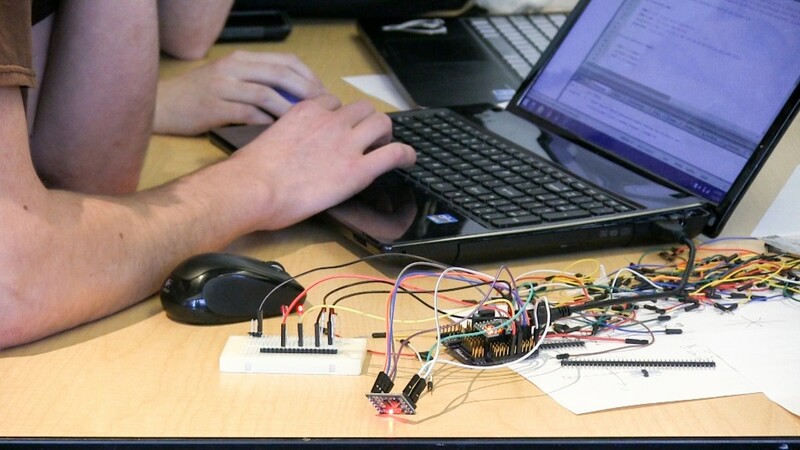 Initially the program will include abilities in electrical engineering and computer science, but Heer’s vision is that the program will expand across the university, so students can earn achievements in a wide variety of disciplines. Questions about the program can be directed to Don Heer.